The purpose of this collection is to share what our team has learned as a part of the “Making Learning Connected” massive open online collaboration (CLMOOC) during the summer of 2013. The intended audience for this collection—and the related resources—are those interested or involved in designing, creating, or participating in online courses. 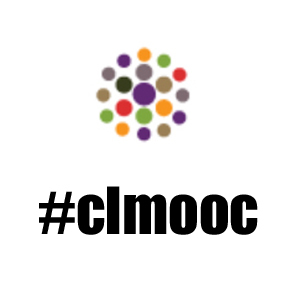 CLMOOC is a collaborative, knowledge-building and sharing experience that is open to anyone who is interested in making, creativity, and learning. In it, we designed and engaged in “makes”—creative projects—that tap into our personal (and professional) interests. We shared what we’ve made and did, learned from each others’ experiences, and reflected on our own growth. We engaged with and employed Connected Learning principles as they relate to making and learning. The general approach to our MOOC was that of connectivist cMOOCs. The original offering of CLMOOC, sponsored by the National Writing Project, ran from June 15 to August 4, 2013 and consisted of six two-week overlapping cycles of making, learning and connecting. Over 1,000 people participated. The community continues to exist both in and of itself and through the many ways in which participants applied and extended this work in their own contexts. For more information, visit the CLMOOC site and our G+ community. Below is a diagram that represents the conceptual framing for how we approached CLMOOC and some of the items that you might want to consider in setting up your own MOOC. Each of these items is linked to a document or artifact that has more detailed information on what our experiences were, what we learned, and what you might consider. (These elements and resources are also linked on the right side of this page.) While a few of these elements are still to be fleshed out, the categories represent how we approached this learning experience. As the above linked graphic shows, we have assembled a variety of resources here about what was learned as we went through CLMOOC. These resources have been written by multiple facilitators from the project and include reflections, practical tips, and more. They span everything from how we thought about CLMOOC’s design at the very beginning to how we selected a platform to how we encouraged user engagement as CLMOOC progressed.